As ever, an outstanding performance from one of Southampton's finest. Seán McGowan has had quite the exciting year, and doesn’t seem to be showing any signs of slowing down. Born and bred in Southampton, he signed to Xtra Mile Recordings earlier this year and released his latest EP, Graft & Grief, in September. As lyrically complex and poetic as he always is, and his social commentary as accurate as ever, September saw him embark on his biggest headline tour ever with a full band, ending at one of Southampton’s latest local venues The Loft, his biggest headline show ever and completely sold out to boot. The first support were the self-proclaimed “Southampton Nice Punks” Scarecrow Boat, a local indie punk band. Citing influences like Brand New, The Front Bottoms, Nirvana and Modern Baseball, they were possibly a little downbeat for the upcoming artists in their sound and tone but still enjoyed well enough by the crowd. The main support for the 5 date tour were Happy Accidents who started with the first track from their 2016 album You Might Be Right “But You’re Probably Wrong”. It almost could have been a Happy Accidents gig in its entirety for how into the band the crowd were, as they launched into “Chameleon”, “Running”, and a whole slew of new music. The crowd, at first into the band, got a bit restless towards the end and were just shouting for “Deano”, McGowan’s guitarist, while lead singer Rich Mandell was trying to introduce a song or the gentle vocals of Phoebe Cross were trying to be heard. Nevertheless, a fitting and enjoyable support act. McGowan came on stage performing his spoken word intro to Graft & Grief, “Gag, Pt. 1”, ending to a roar of cheers from the crowd before launching straight into “Clear Conscience” and “£5.25” – the audience, of course, knowing every word and shouting them right back to him. The setlist featured a good mix of songs from across his EPs, as he continued on into new song “Apple Core”, and his 2003 track “Never Let Us In”, frequently stopping to talk with everyone about how much he appreciated being here and how grateful he was for the support. With a gaggle of friends in the middle of the crowd he bashfully played an acoustic “Patchwork”, then continued into new songs “Dog Tag” and “Costa del Solution”. The amount of people who knew all of the words to his latest songs was incredible to see, for myself and presumably for the slightly overwhelmed looking McGowan. Of course, the songs that everyone responded to most were his classics, the ones about his hometown which were chosen for his encore (“This Old Town” and “Millbrook Road”). My third time seeing him after his support stint for Tom Clarke in June and at Bestival in September, he was as enthusiastic a performer as ever – and I’m already looking forward to seeing him again this year. 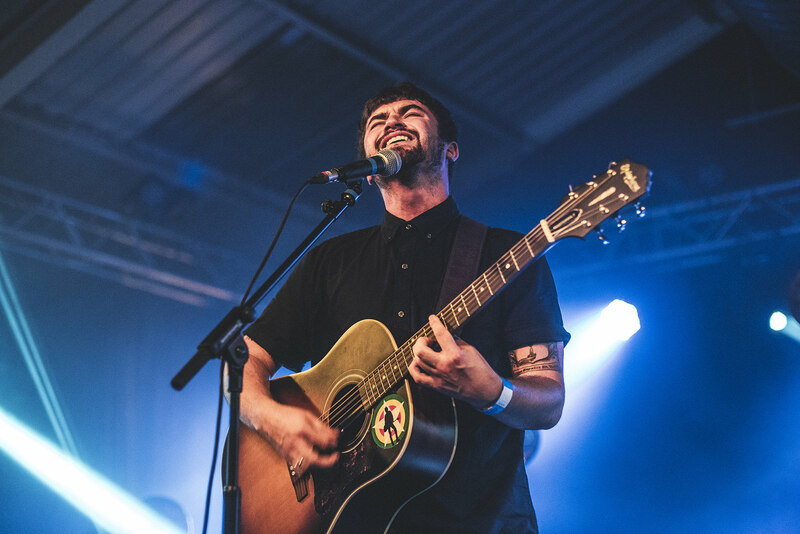 Seán McGowan will be on tour with Billy Bragg throughout November. Check out his single “Costa Del Solution” below.